You step inside and put down your suitcase. The rush of the airport starts melting away as you look around at your home for the next few days, and you let out a deep breath in relief. It takes a lot to make a place feel like home, especially when it’s only temporary. In the hospitality business, that’s what you’re tasked with — making millions of visitors feel comfortable and cared for, no matter where they’re from or how long they’re staying. Here’s how three industry-leading hospitality companies are using Front to scale their businesses worldwide while making every stay a personalized, 5-star experience. Hostmaker helps homeowners create a 5-star experience rental properties on Airbnb, Booking.com, and more. They do it all, from writing a stand-out listing and handling customer service, to interior design and changing the linens between rentals. Based in London with 5 other offices across the globe, they depend on clear, efficient communication to keep rentals going smoothly. Before Front, Hostmaker used Gmail to manage messages from their customers, renters, and daily operations teams like decorators, cleaners, and van drivers. Teammates lacked accountability over customer messages, response times were slowing down with increasing message volume, and managers had little visibility into individuals’ work. Faster response times: Front’s canned responses and rules help them automatically send informational messages, like confirmations, arrival details, and reservation reminders. This frees up time so they can respond more personally and faster to urgent customer issues, like, "Oops I left the keys inside the home — help!" Increased accountability: Since they use shared inboxes Front, managers know exactly who answered what, and assignments in Front help teammates know what messages they’re responsible for. Business insights: Which locations need more staff? How many more messages did we receive this month over last month? With Front Analytics and tags, they monitor customer requests, get insight into common issues, and better support the staff as the team grows. Looking for a cozy-yet-stylish place to stay on your next trip? Look no further than Domio. They provide vacation homes and branded apartment-hotels that are professionally curated and designed for comfort and style. They are currently in Austin, San Diego, Boston, Honolulu, New Orleans, and Nashville. Far more than your typical rental, every home meets high style and cleanliness standards that go beyond your expectations. Before Front, Domio used Gmail and Google Groups, but emails from customers and prospects were falling through the cracks. With more than 200 homes in seven cities, Domio needed a way to get messages to the right person in the right location, so they could give customers quick responses, like, “Here’s how you connect to the WIFI!” They also needed a way to tell if an issue was resolved or still needed a response. From support, to sales, marketing, real estate, and operations, the entire 40+ person Domio team uses Front. Tags in Front help them stay organized and assess feedback, and canned responses and rules help them work more efficiently to answer customer messages faster. Faster response times: The Domio team responds faster than ever. Front's rules and assignments get messages into the right hands instantly. For example, if a Keurig isn’t working in Nashville, that message goes directly to a local maintenance teammate. No messages fall through the cracks, and customers get answers faster. Increased efficiency: Every team at Domio uses Front’s canned responses. Marketing can automatically request reviews after a rental ends. Support can send explanations and directions faster and with more accuracy. Real estate can easily extend custom leasing offers. Business insights: Front's analytics and tags help their operations team collect more data, get better insights, and improve the guest experience. They’re able to organize customer feedback from multiple channels, so they can see trends in property rentals and gauge which rentals are booked most often. The Guild is a collection of boutique hotels located in upscale residential buildings — offering 24/7 concierge services, the amenities of home, and local insights. They have properties in Austin, Dallas, Miami, and Cincinnati (coming soon!). Every space features hand-picked furniture and one-of-a-kind decorative pieces. Guests can customize every part of their stay, like what to set the thermostat before arrival, and what kind of groceries to stock in the crisper. Before Front, The Guild juggled messages from customers over SMS text, phone calls, and four different Gmail accounts. Customer experience suffered when handing off conversations between employee shifts. The team lacked transparency into customer messages. Relying on solely Slack and Google Sheets made it difficult to evaluate guest feedback and issues and gave them no context. Front eliminated the chaotic switching between communication tools for The Guild's entire 28+ person team. 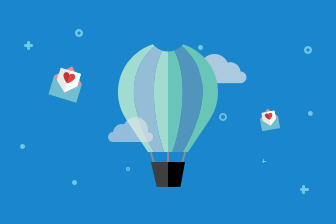 Teammates each manage their own shared inbox with messages from a dedicated group of customers. They integrate their CRM so they can see all relevant information on customers when they're replying, like how many times they've rented, or where they're coming from. Front's rules have made teams more efficient and allowed them to take ownership over emails, so nothing slips through the cracks. Faster response times: Teammates work together on shared drafts in Front to write better responses. With 72 canned responses, guests receive immediate replies to issues – whether it’s about building maintenance or pool hours. Efficient collaboration: With shared inboxes in Front, they have more transparency into customer messages, and better insight into customer needs. They’ve also cut down on internal emails since they can assign and comment on messages in Front. Working in one place in Front, they’ve cut down on the number of open tabs they have to have open to work — from 14 to three. Hospitality is about giving travelers the personal and caring service they need to feel comfortable. By partnering with Front, hospitality companies can give their teams the clear, efficient communication they need to work more efficiency provide every guest with a 5-star experience that feels like home. Tips from customer experience gurus, and more!